2.0.0.1 Step 1: Use a pipette to get few drops of desired essential oil and soak the cotton or wick of your inhaler. In most cases, you will not need more than five to ten drops of essential oil, although some may use up to fifteen. 2.0.0.2 Step 2: Open up the bottom cap/base of the nasal inhaler and insert the cotton/wick into the inhaler and close the inhaler cover. 2.0.0.3 Step 3: Give it a good shake so the cotton or wick can settle in and you’re good to go! 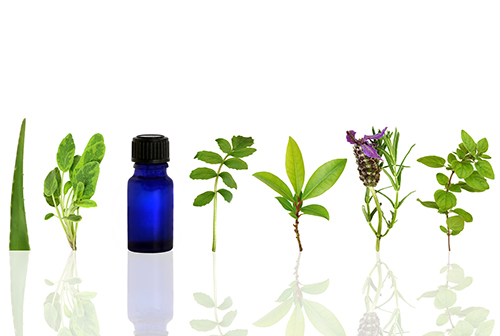 Some essential oils are applied for topical skin disorders, in which case inhaling the oil will be ineffective. However, for oils where either ingestion or inhalation is suggested, inhalation is the most effective way of taking the oil. By using an inhaler for your essential oils, you allow your body to absorb the essential oil into the bloodstream and transport it around the body. This way, it can reach all the affected areas as well as help your health holistically. Using an essential oil inhaler is much easier and more convenient than a diffuser. If you wish to use your essential oils while out of the house, it provides an alternative way to take them. It is also discreet and safe, so if you are in a working environment with others who may have a reaction to the oils, you will be fine. An essential oil inhaler looks just like a tube of lipstick or lip balm and is easy to carry in your handbag or pocket. Some choose different colored casings for different mixes/blends of the essential oils. The inhaler is made up of four components. A plastic casing, most visible part of the nasal inhaler and shields the cotton or wick, which is housed within a plastic sleeve. This cotton or wick is where you will apply the oils. At the bottom of the inhaler is a small stopper, which holds everything together and allows easy access to the cotton and essential oils. It is recommended that you use different wick or cotton for new recipe or essential oil. Step 1: Use a pipette to get few drops of desired essential oil and soak the cotton or wick of your inhaler. In most cases, you will not need more than five to ten drops of essential oil, although some may use up to fifteen. Step 2: Open up the bottom cap/base of the nasal inhaler and insert the cotton/wick into the inhaler and close the inhaler cover. Step 3: Give it a good shake so the cotton or wick can settle in and you’re good to go! (Note: some inhalers may have the different structure, where the oils are pipetted into the tube rather than the top of the tube. In these cases simply add the oils into the cotton or wick directly). Hold the end of the essential oil inhaler stick just below your nostril, or slightly to the side. Do not insert the inhaler into your nose, or allow it to touch the nostril. You may wish to hold the other nostril closed as you inhale to reap the full effect of the essential oils. Inhale slowly and deeply through your nose, taking a long breath. You can count to a number as you breathe if you like, but the main thing is to breathe deeply. Adjust the length of your breath to whatever is comfortable. Once you have inhaled, hold the breath for a length of time approximately the same as your regular breath. This will allow the essential oil to absorb into your body. Then slowly exhale, for about the same length of time again as far as it is well concerned ever. These recipes are just a small sample of the many that are possible to use in conjunction with an inhaler. Mixing together different essential oils will give a range of effects, and can serve purposes from aiding sleep to preventing muscle cramps. Inhaling essential oils is a soothing, easy to prepare treatment that helps people to get through their health problems. If you would like more essential oil inhaler recipes,please check the citation for some valuable resources. These mixes of essential oils will help put your mind at ease. They are pleasant scents and will not aggravate the nose. They may help put you to sleep at night or relieve anxiety, and many people find that inhaling is a good routine to get into to help cope with stress. This perfume is a combination of ingredients which smell heavenly but relax the senses too. For a relaxing, day-to-day inhaler which calms mild stress, this is ideal. It can be worn as a perfume or inhaled with an essential oil inhaler for maximum effectiveness. A recipe which maximizes the effectiveness of the oils while smelling good, this remedy is light and fresh. Bergamot is known for its natural anxiety-relieving properties. It is effective when inhaled, and here combines with soothing ginger and sandalwood. Orange gives the mixture a refreshing tang, ensuring that it smells good and invigorates the body as well as relaxing the mind. These mixes will help relieve the symptoms of a cold and make your condition more bearable. They help to energize the body as well as unblocking sinuses and airways for easy breathing. These three oils are all effective for their antibacterial properties, and also reduce any inflammation of the airways produced by the infection. When you have a cold, the most important thing is to open and soothe your airways and sinuses, and these natural oils will do just that. They can be used individually or in some cases mixed in appropriate proportions. These ingredients are soothing antivirals. The tea tree will help to clear the sinuses and kill any infection living there, while the others will soothe sore throats and itchy noses.